Mt Pleasant Lady Tiger’s Soccer playoffs are Tuesday (Apr 2) at T.A. Cotton Ford Stadium in Greenville, starting at 6:30 pm. Mt Pleasant is visitors. 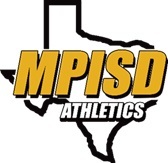 Mt Pleasant Boys’ Soccer playoffs are Tuesday (Apr 2) against Joshua at Rockwall starting at 7:30. Mt Pleasant is visitors.